Progressive Acoustic/Rock somewhere between Live and The Counting Crows. John's powerful voice and excellent guitar ability got him voted Entertainer of the Year by Campus Activities Magazine and Musician of the Year by CampusAwards.com! John has a much larger sound than most solo musicians. Taking a unique approach, John performs solo with the help of a sampler that allows him to record a guitar "loop" on the fly and then play lead over it. This allows him to sound as if there are two or more guitars playing at the same time. "I do this all live," says John. "People always ask me if this is prerecorded music, but it's not. I think if you go hear live music it should be live. I rely on my own ability to perform; the technical effects are only there to enhance what I do." John's expressive voice makes you feel he's lived every song he sings and John's guitar style is best described as a cross between Stevie Ray Vaughn and Marc Knopfler! Originally from Huntsville, Alabama, John first learned to play guitar at the age of twelve. After playing in jazz and rock bands through high school John went to Athens, Georgia where he majored in classical guitar at the University of Georgia. After leaving Georgia John played the bars in Nashville before taking his show on the road. 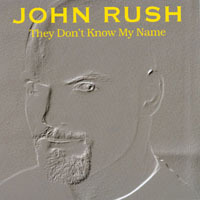 John has released his critically acclaimed debut CD, They Don't Know My Name. Two tracks from his CD will be featured on the sound track to the film Autumn and Everything After . John's progressive acoustic/rock style takes a great voice and excellent guitar playing to create songs with strong melodies and thought provoking lyrics. "I write some songs with some real depth to them, but my goal as a performer is to help people have a good time. If I'm lucky maybe I can make them think a little during the process."